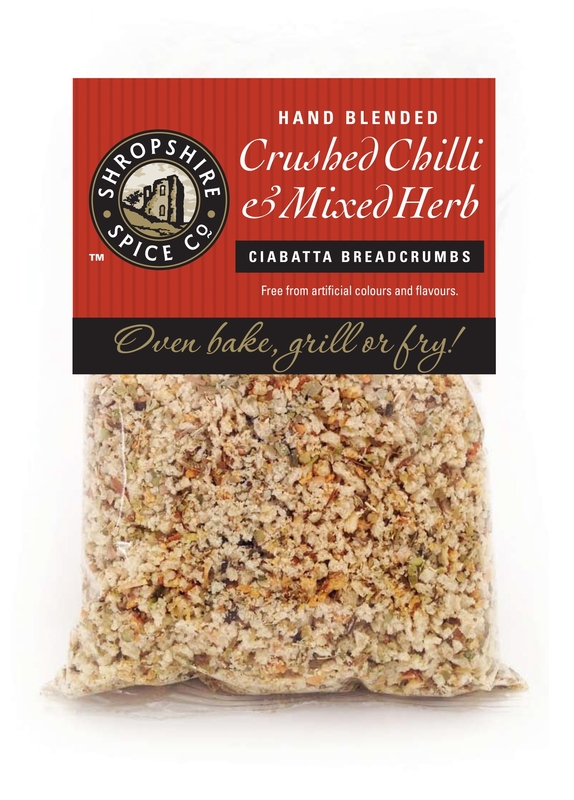 Our Ciabatta Breadcrumb range is a quick and easy way to create and add flavour and crunch to a delicious meal in minutes. We have three tasty flavours which are below to choose from. Italian Herb & Garlic Ciabatta Breadcrumbs can be used with any meats, vegetables or pasta dishes. Ingredients: Ciabatta Breadcrumbs [Fortified Wheat Flour (Wheat Flour, Calcium Carbonate, Iron, Niacin, Thiamin), Extra Virgin Olive Oil, Salt, Rapeseed Oil, Yeast] Italian Herbs, Garlic Granules. 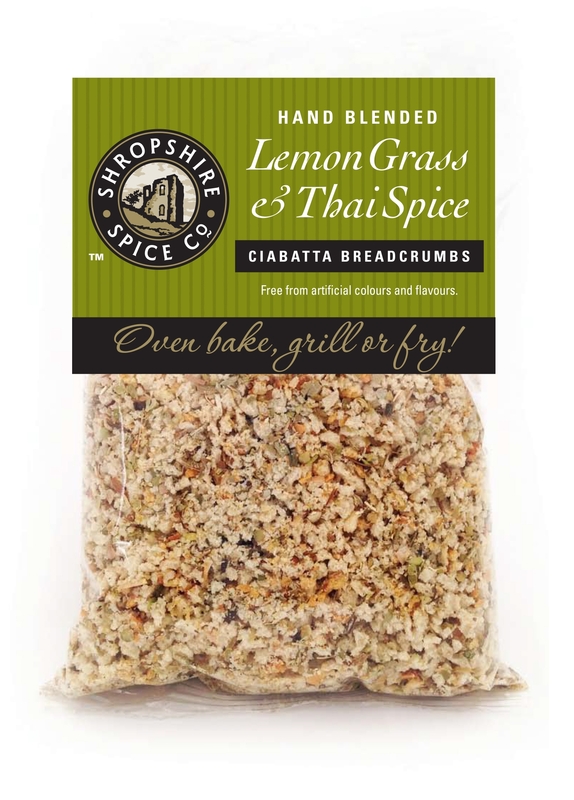 Lemon Grass & Thai Spice Ciabatta Breadcrumbs can be used with any meats, vegetables or pasta dishes. Ingredients: Ciabatta Breadcrumbs [Fortified Wheat Flour (Wheat Flour, Calcium Carbonate, Iron, Niacin, Thiamin), Extra Virgin Olive Oil, Salt, Rapeseed Oil, Yeast] Thai Spice, Lemon Grass.